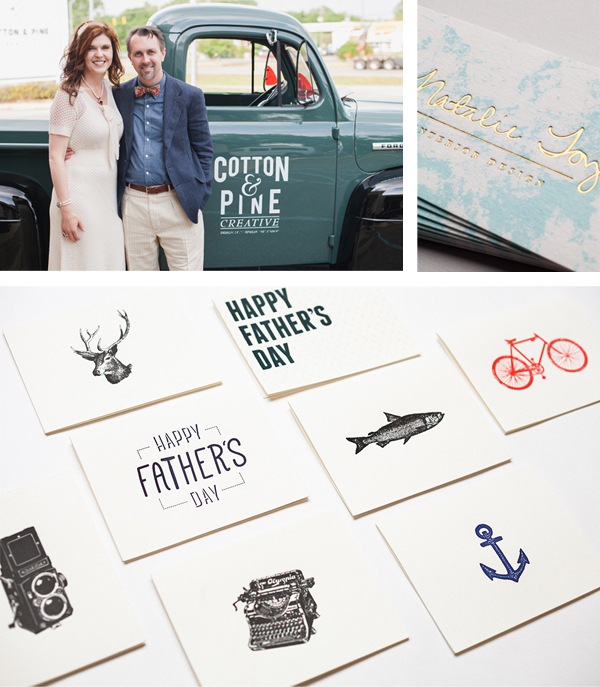 Letterpress is one part technique, one part soul, and it takes brilliant creative know-how to bind both together. At Cotton and Pine in Montgomery, Alabama, this is no exception. 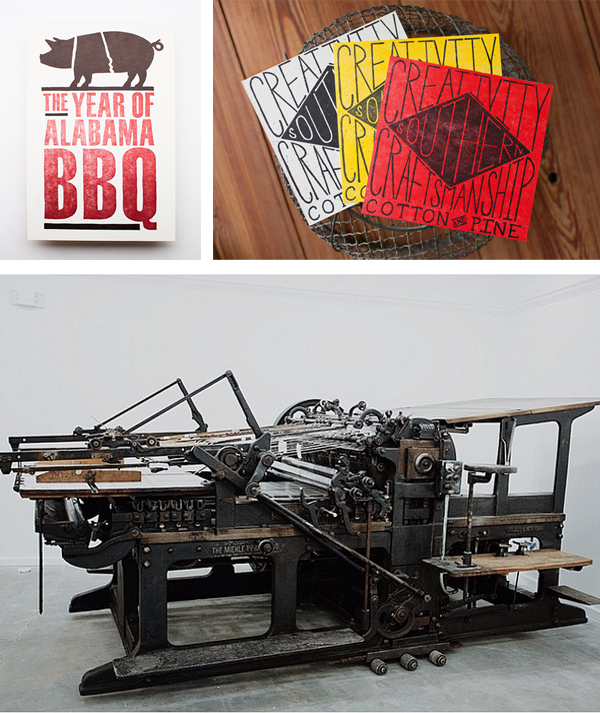 Recruiting from some of the finest talent that Alabama offers, Cotton and Pine has been a dynamo on the letterpress printing scene (from distinct die-cuts to eye-popping prints) and hasn’t stopped since its inception two wonderful years ago. 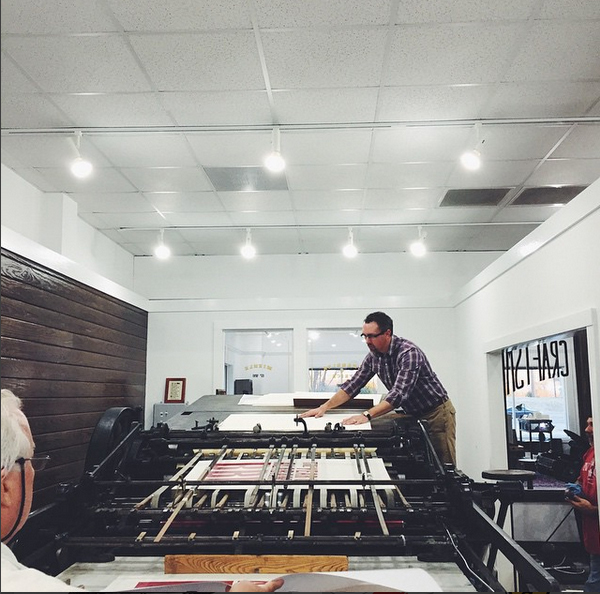 We were able to catch a glimpse of this incredible printing abode in the Deep South to see just how brilliantly letterpress can shine. 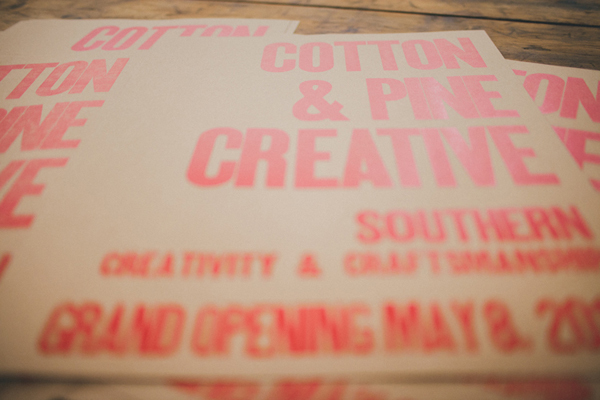 MODERN MEETS VINTAGE Cotton & Pine is a combination print shop and design studio. 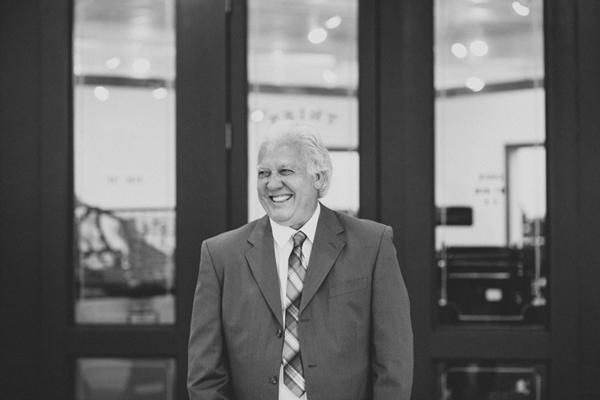 The company was founded in Montgomery by Daniel Mims and Steven Lambert, and was designed to be a place where modern design and vintage printing could come together in collaboration. 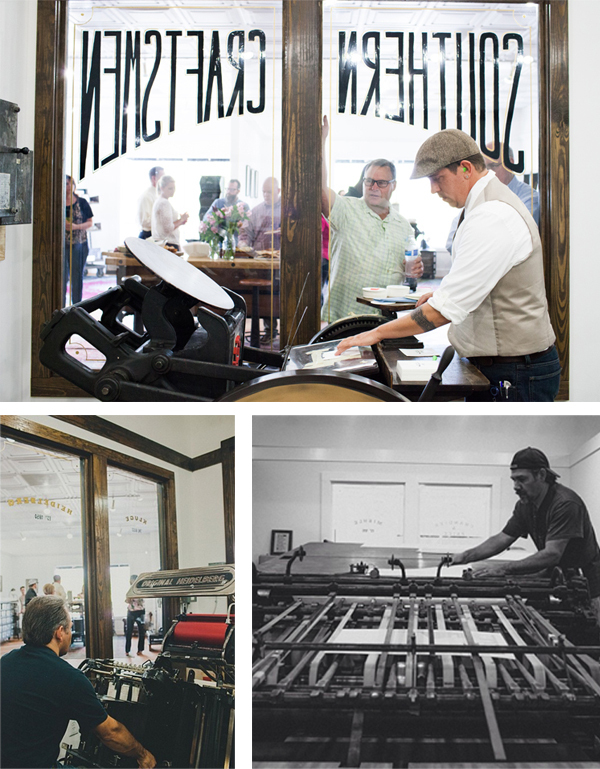 LETTERPRESS BEGINNINGS The idea that eventually became Cotton & Pine Creative came to Daniel and Steven of Mims Management Group after years of searching out and collaborating with talented and dedicated craftsmen and creative minds from across the Southeast. They had spent some time finding and working with letterpress printers and that ultimately led to the idea of housing printers and designers under one roof. RECLAIMING LETTERPRESS Our shop is split down the middle: half for designers and half for the print shop. 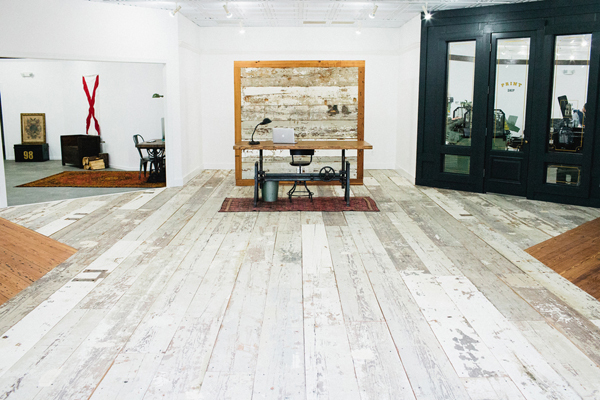 The shop is outfitted with hart pine beams reclaimed from a hundred-year-old cotton mill located in Lanett, Alabama. We’ve surrounded our letterpress machines with a wall of windows so that anyone who comes in the shop can see the presses at work. 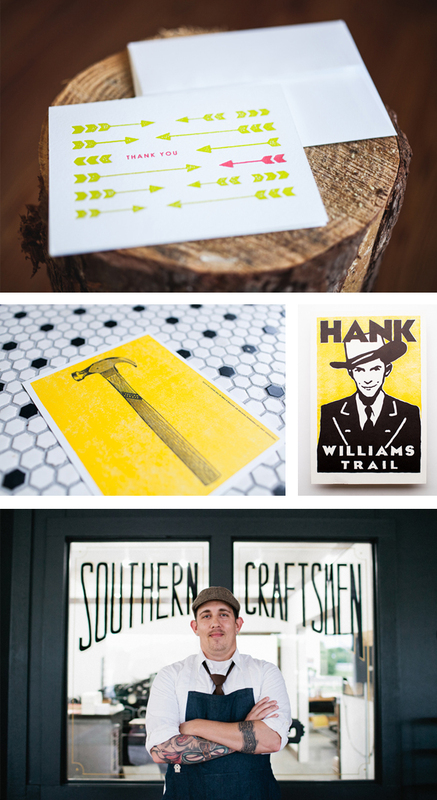 DESIGNING FOR PRINT We have a staff of printers and designers who we’ve recruited from across the state of Alabama and we are very proud to be powered by home-grown Southern creativity and craftsmanship. THE CREATIVE PROCESS We design a very wide range of materials, from personal stationery, to business collateral, to wedding invitations. And we approach each of these projects in a unique way, based on the client’s wants and needs. But designing for letterpress is always unique and exciting. 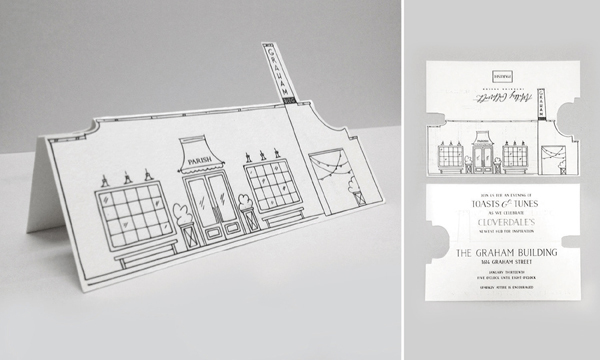 We love playing in a wide spectrum of different aesthetics, whether it’s an elegant wedding invitation, a sophisticated business card, or a playful postcard. FULL TIME FUN We’ve been in business since 2013, but our printers have had decades of experience as full-time printers. PRINTING FEATS We are always really proud of the projects that pose an interesting challenge. For example, we printed, letterpressed, and bound a special edition book for a poet from London. We are also always really excited for any project that allows us to combine letterpress with other printing processes, like foil stamping, embossing, or die-cutting. And it’s always a fun project when we get to fire up our 1908 Miehle, which can letterpress up to 26″ x 40”. We’ve had several jobs where we got to hand carve plates and print them on the Miehle—those are the ones that are always really striking and eye-catching and have so much character and individuality in each print. BOXCAR’S ROLE Boxcar has been an absolutely incredible help to us! As we receive new projects and continue to take on new challenges in letterpress, we are so grateful for Boxcar helping us to improve on our work every day. 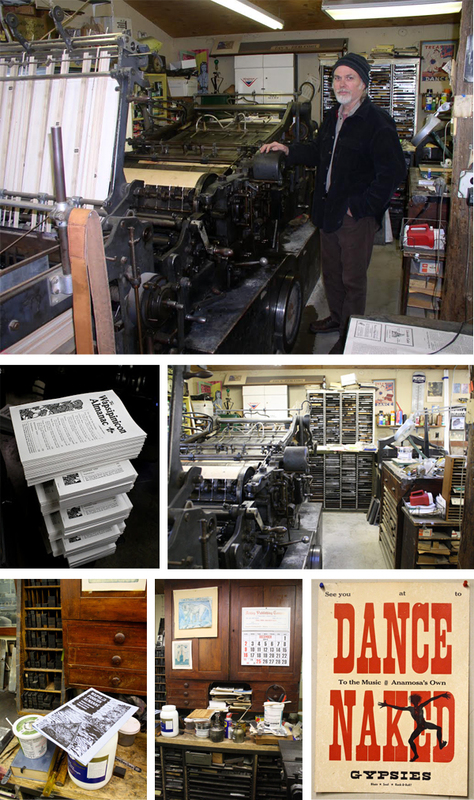 PRESS HISTORY We were very lucky to inherit five letterpress machines from a hundred-year-old family-owned print shop in Birmingham, Alabama. Our real work horse is our Original Heidelberg Windmill, but we also have an Original Heidelberg cylinder press, a Chandler & Price, a Kluge 14×22, and a 1908 Miehle. “Don’t give away your secrets. And if you have trouble, make sure the problem isn’t between the floor and the switch.” – Johnny. “Don’t use 20 year old Pantone books, and don’t eat chips in bed.” – Steven. 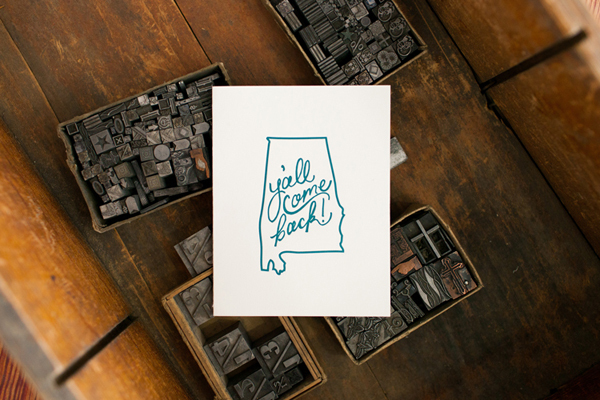 WHAT’S NEXT This summer we are attending several music and arts festivals across the South, where we’ll be selling letterpress goods from our retail shop, C&P Mercantile. 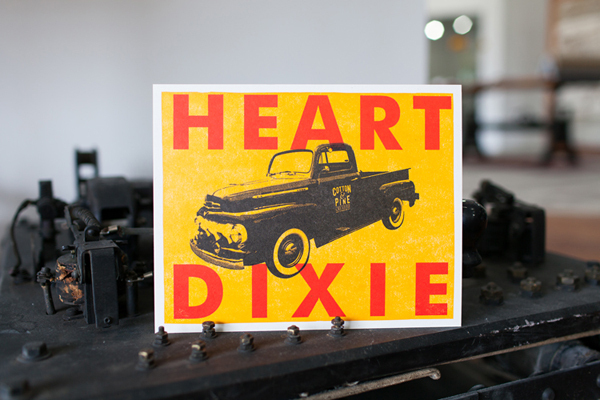 We love getting a chance to meet other Southern artists and craftsmen and sharing the beauty of letterpress in something as simple as a note card or coaster that anyone can take home and enjoy. Huge heaps of thanks and a round of applause out to the wonderful folks at Cotton and Pine for giving us a peek inside their shop! 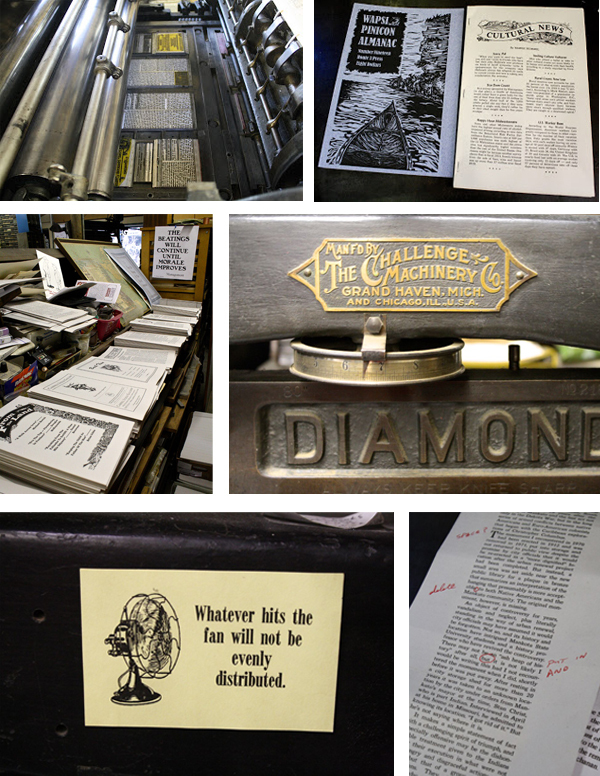 Flurry (a new online journal about letterpress printers) needs you. In particular, Flurry needs your press moving stories. And not just that time when you hired riggers and everything went really smoothly. 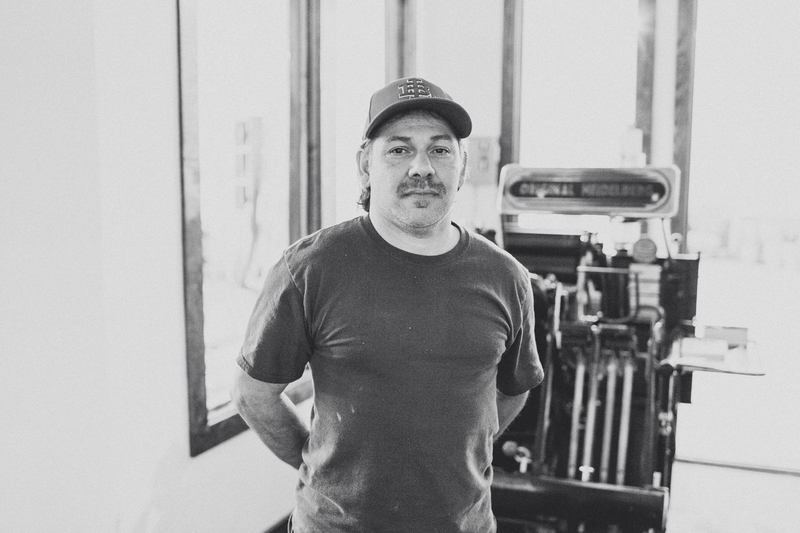 Post a comment telling us (in 50 words or less) what crazy things your love for letterpress has caused you to do with really heavy machinery (or, if you’re shy, email us (liftgate@boxcarpress.com). How far were you willing to go for your cast iron beauty? Madness, adrenaline, photos, reenactments, and adventure are all encouraged. 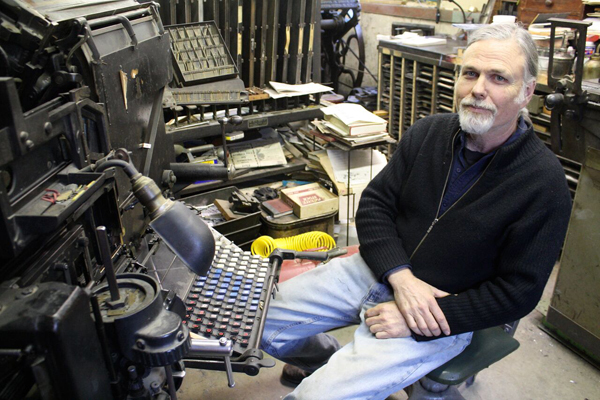 The best story will win the right of first refusal for Harold Kyle’s *free* 2-ton Miehle Vertical press. 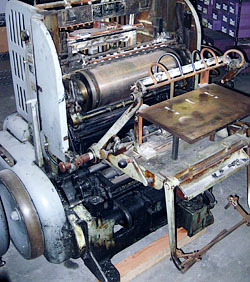 This press has brand new rollers, as well as typical rust and dirt issues as you’d expect with any mid-century press. It’s guaranteed to provide you with an exciting press moving story all over again! You’ll also receive fame and a Boxcar letterpress t-shirt featuring your choice of press (Vandercook; Windmill; C&P; or Sigwalt). And we’ll feature the best stories in an upcoming article on Flurry. Post or email your best in 50 words or less by August 20.